Also for interior images the less bright light at the start or the end of a day is advantageous, because the brightness difference between ambient light and lit windows from outside is not that huge. Balancing this with photographic means is much easier though. But even the different settings of the clock are of advantage for the planning of a shoot. 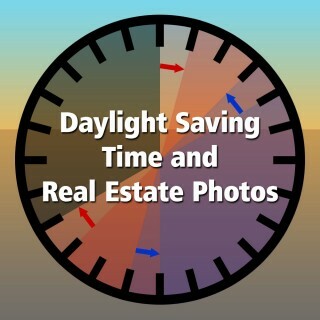 After the change to daylight saving time sunrise starts one hour late. That means that you don’t have to get up that early for good photos in midsummer. :-) In the evenings you can use the light longer. Thus you can shoot the exterior later, when wheather and winds calm down, which is good for plants and textiles. The return to normal time in fall means that the photographic day does not start too late and ends earlier. Thus enough time will be left to retouch images the same day on the computer. No matter how you look at it – it is important that you must not pressure yourself and make the best out of it. All the grumbling doesn’t help.